Innovation arises at the interface of different areas of science. 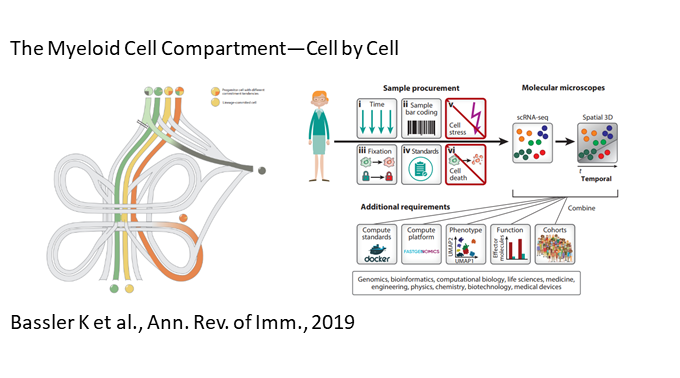 We specialize in the interface between immunology, metabolic research, and neurosciences on one side and genomics and bioinformatics on the other side. High-throughput sequencing down to single-cell resolution plays a pivotal role in our research. Therefore our group is strongly interconnected with the new Platform for Single Cell Genomics and Epigenomics at the University of Bonn and the German Center for Neurodegenerative Diseases (DZNE). Our research comprises both, lab-based experimental approaches as well as computer-based analyses. We are thus in an excellent position to address questions of systems biological nature. However, our expert knowledge is also applied to assist colaborators in immunological and neurobiological research worldwide. Our own research is particularly focused on: how macrophages are programmed in the adipose tissue in obesity; what is happening during chronic inflammation; whether immune cells and neurocytes can be better described by single-cell sequencing approaches; and how those cells are regulated on an epigenetic level. 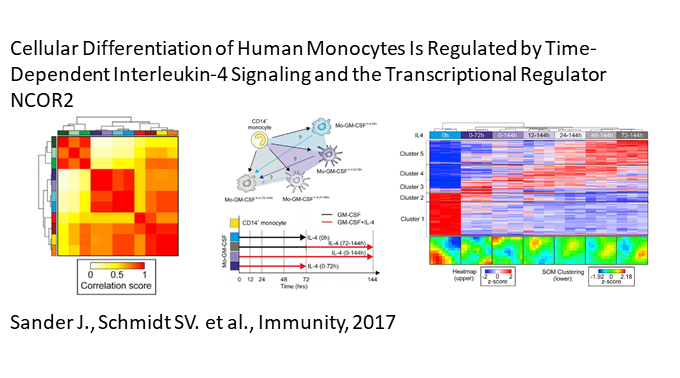 Specific working programs include the transcriptional regulation of macrophages (phagocytes) during physiological and pathophysiological conditions and the biology of regulatory T cells. Follow us on Twitter to stay up-to-date on our current work.